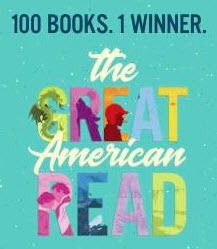 The Great American Read is the new PBS eight-part television competition and nationwide campaign to discover America’s favorite novel. Everyone can vote for their favorite from a list of 100 novels chosen in a national survey. Marthaellen Florence, from NET Television, Katie Murtha, from Lincoln City Libraries, and Mary Jo Ryan, Communications Coordinator at the Nebraska Library Commission, will join us to share resources and activities that you can use in your library to help your community participate in the program. Apply for Nebraska Library Commission C.E. Credits - Report your C.E. Activity - You must include your name and your library name. We will assume you watched this recording on the date of the email, unless you tell us otherwise. Please feel free to include any comments about the session as well. Check the C.E Guidelines for information on earning C.E Credits. Please contact our Continuing Education Staff with questions about C.E. Credits.